Flour Mayhem: Looking forward to Fall! So many things to look forward to and be happy about. Fall is on it's way, and I welcome the warm days and brisk nights. I can't wait for the cold days either ;) Pumpkin everything, candy corn, hoodies, and Halloween! We still have another week or two of summer I guess, but that surely hasn't stopped me from enjoying some of my most favorite things. Sunday was the first day that I noticed a bit of a chill in the air. I got off of work at 6 and opted to walk home and enjoy it. Glad I did. 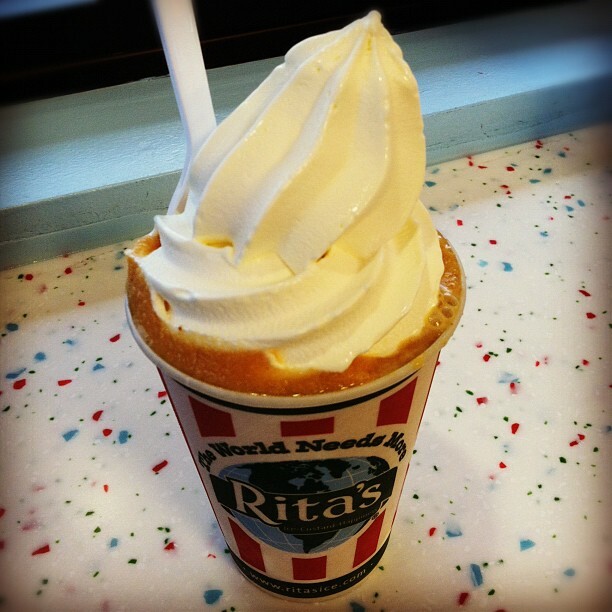 Someone at Rita's knows whats up. On September 1st they had Pumpkin Pie cream ice. It is hands down my favorite. Along side the iced coffee, of course! Oh Charie Brown, how I love you. I have been caught watching this year round, though I haven't seen it since February, so watching it the other night was a treat. 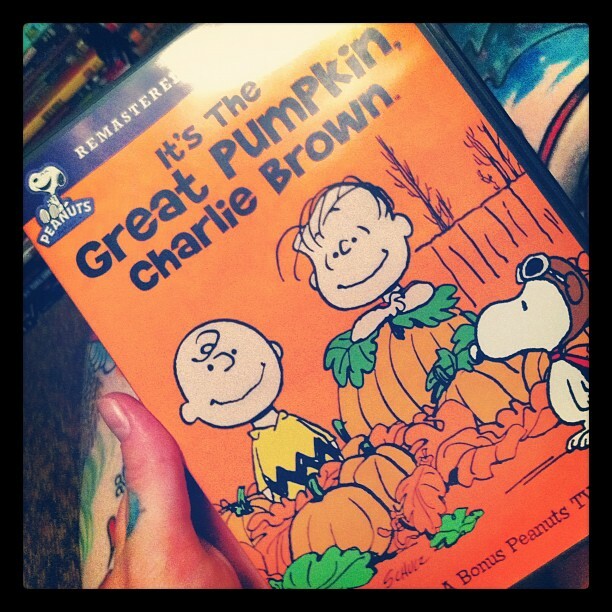 The Great Pumpkin has my heart. Trick R Treat ranks pretty high on my list as one of my favorite Halloween movies ever! I have watched it almost every night the last week. Those of you who know me, know I love coffee. It's true, I won't deny it. I also love my Keurig and all the fun flavors they have for it. 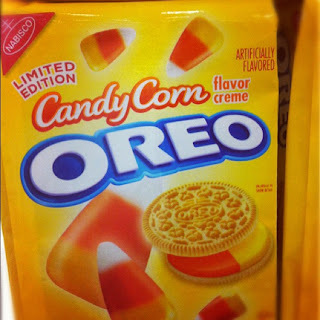 I spotted the pumpkin spice and jumped for joy. I have enjoyed a cup every morning the last few days. So so tasty. Speaking of coffee.. My first pumpkin spice latte of the season. Thank you Starbucks. If you aren't all pumpkin'd out, here are some links to a few tasty pumpkin treats from yours truly. It was pumpkin heaven at the grocery store tonight! I passed up the pumpkin cheesecake cookies, but picked up some pumpkin spice waffles. Yum! So ready for fall! !